While it may be hard to digest, Thanksgiving has left us in the wind. Although, not all is lost considering that we have Christmas to look forward to in weeks to come. I mean, this is the holiday celebration that we have all been waiting for. Not only are the kids ready for the holidays, but just about everyone is eager for what’s to come. This is the time of year that friends, family, and other counterparts come together. The mood is jolly, the air is filled with the smell of gingerbread, and the mood is fully set. Although, the one thing that nobody is going to forget is the exchanging of gifts. Finding the perfect gift for that special someone is going to be a challenging year by year. There is a little something out there for everyone when it comes to Christmas gifts. If you know what someone loves finding the right gift for them is easy. If you have any coffee lovers in your family, I have some info that you are going to want to hear. Having a single cup coffee maker is always a plus, especially on those one cup days! There are many of us, but having a nice cup of coffee in the morning or at any part of the day is love. Some of us just have a passion for the perfect cup of brew. Sure you can go out and get you a cup, but making it on your own time is simply perfect. 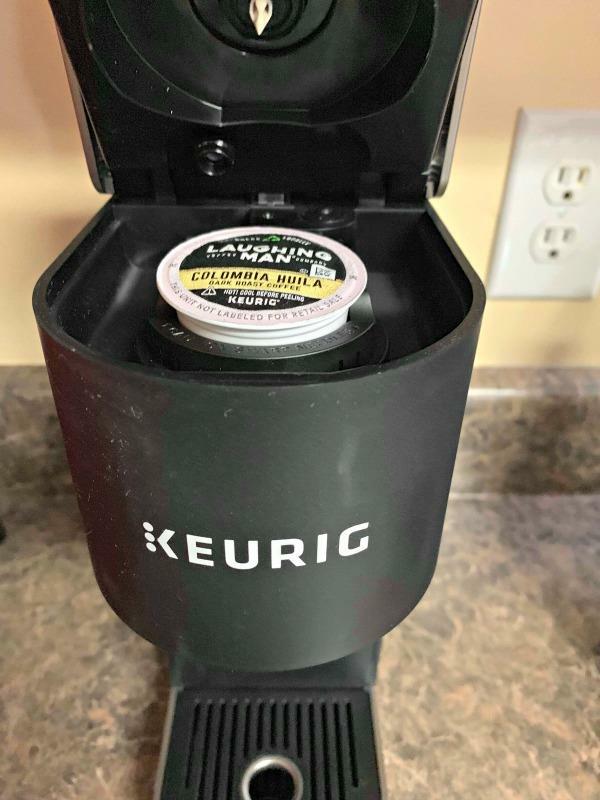 Which is why you should consider the Keurig® K-Mini Plus™ Single Serve Coffee Maker. If you haven’t seen a simple brewer, then you are in for quite the surprise. 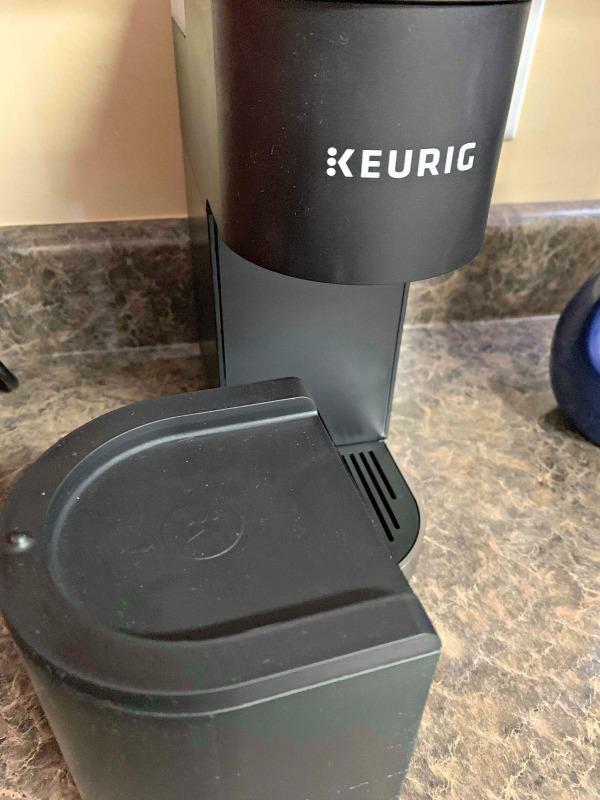 The new Keurig® K-Mini™ Plus Single Serve Coffee Maker feature a new sleek design. That’s right; it has a less than 5” wide measurement making it perfect for just about any space you could imagine. Office desk, break room, the kitchen at home, and so many spaces come to mind. Now with every grew brewer you are going to need the ideal coffee selection to go with it. I know we all have our go-to coffee brand, but a new one can always become your new favorite. 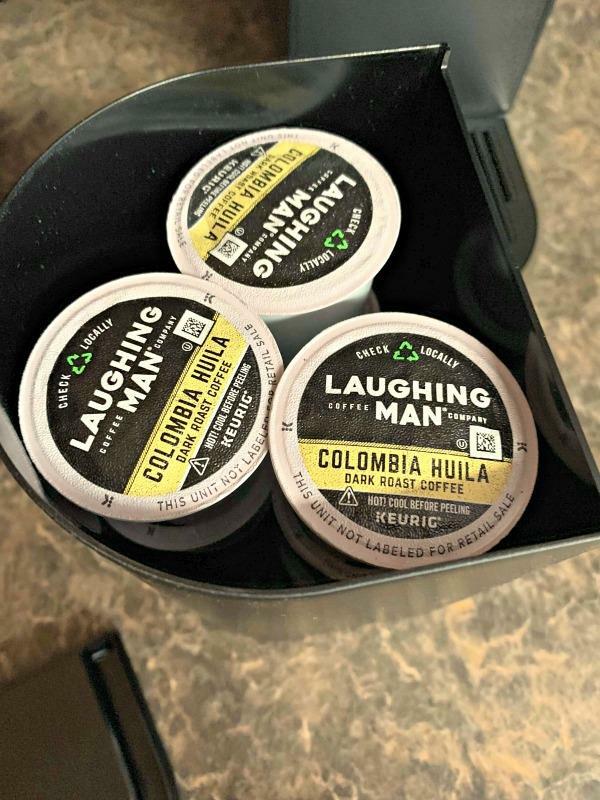 While there are quite the number of options to consider, you won’t find a better selection than Laughing Man® Coffee. Each cup of the exceptional Laughing Man® Coffee is 100% Fair Trade, Arabica Coffee! Now, these are available at Target, Target.com, and retailers nationwide. You can find them available in recyclable K-Cup® pods (16-ct for $11.49) and bagged (12 oz. for $9.49). The holidays are a special time of year for so many people, and it’s simply amazing. Plus, the holiday gift of the year could be this special selection right here! So be sure to check out all of the information I have for you above.